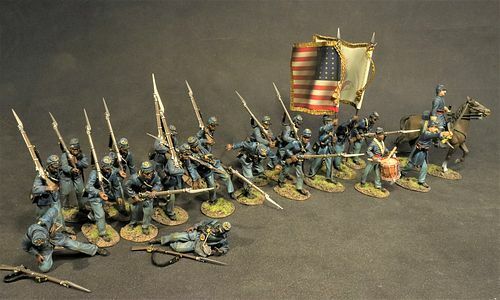 The 54th Regiment Massachusetts Volunteer Infantry. Although Union forces were not able to take and hold the fort (despite taking a portion of the walls in the initial assault), the 54th was widely acclaimed for its valor during the battle, and the event helped encourage the further enlistment and mobilization of African-American troops, a key development that President Abraham Lincoln once noted as helping to secure the final victory. Decades later, Sergeant William Harvey Carney was awarded the Medal of Honor for grabbing the U.S. flag as the flag bearer fell, carrying the flag to the enemy ramparts and back, and singing "Boys, the old flag never touched the ground!" While other African Americans had since been granted the award by the time it was presented to Carney, Carney's is the earliest action for which the Medal of Honor was awarded to an African American.